Got some extra space at your place?! for all types of pets. until a perfect forever home is found. 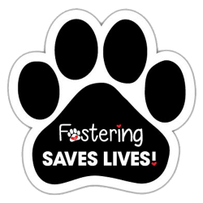 While your foster pet is staying with you we will provide you with food, worming tablets, flea treatment, beds, bowls, collars leads & any other necessity you may require (dependant on availability). The rescue will pay for all vet work to be completed; Vaccinations, Micro chipping, de-sexing and any other work the pet may require. 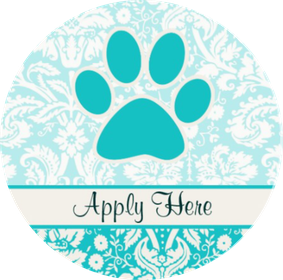 We ask that you provide the foster pet with a safe and secure environment, exercise, reliable transport to the vet (if required) and lots of TLC! No qualifications, formal training or experience needed - we can help you along the way. How long do I Foster for? 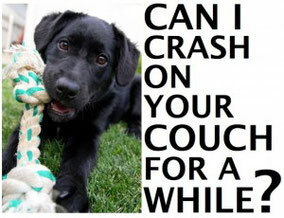 Foster pets can stay in care for a wide range of time between 1 month and 4 months, it depends on the time of year. Christmas & school holidays can mean there is a larger amount of people looking to adopt a rescue animal and during this time of the year foster pets may only be in care for 1 month. Slower periods of the year, your foster pet may stay with you a little longer. An estimated time frame will be discussed with the foster carer before they agree to take the animal, so if you can only look after the animal for 2 weeks; just let us know. The rescue has a behaviourist/trainer available to help training foster pets that may need more than just the basic training. First time carers with existing pets receive a lot of support from the rescue and we can be there to help you introduce your first foster pet and explain reactions and displayed behaviours to you, if you’re not confident with this. Foster pets don’t always come from the pound. A large number of the animals in our care are privately surrendered by their families. We would like to think that this is contributing to lessening the numbers in the pound by taking on surrenders, if we weren’t to take the animal it would most likely be surrendered to the pound anyway. The Rescue try and save the urgently listed animals at the pound and we have been rescuing animals from Renbury Farm, Campbelltown Pound, Hawkesbury Pound & Blacktown Pound to name a few. Some pound animals require rehabilitating more than others, not all animals cope the same in the pound. These animals will be placed in care with an experienced carer so that new carers are not working with a pet that may be out of their depth with training. What else is involved with being a Foster carer? The rescue loves participating and holding public events and we strive to attend as many as we can. While you have a foster pet in your care, we may ask you to attend the event with the foster pet. Whilst we are at an event, we educate the public on responsible pet ownership as well as gaining maximum exposure for our rescue animals. If you have space in your home and heart and want to help animals, we need you! Want to be apart of the family?